Today is the 20th death anniversary of Dr Muhammad Abdus Salam, the first Pakistan to receive a Nobel Prize, which he was awarded in 1979. He was also awarded Sitara-e-Pakistan (1959) and Nishan-e-Imtiaz (1979) along with dozens of other honors both nationally and internationally. In a just world, he would be honoured as a hero. But the respected physicist did not live in a just world. He lived in Pakistan. 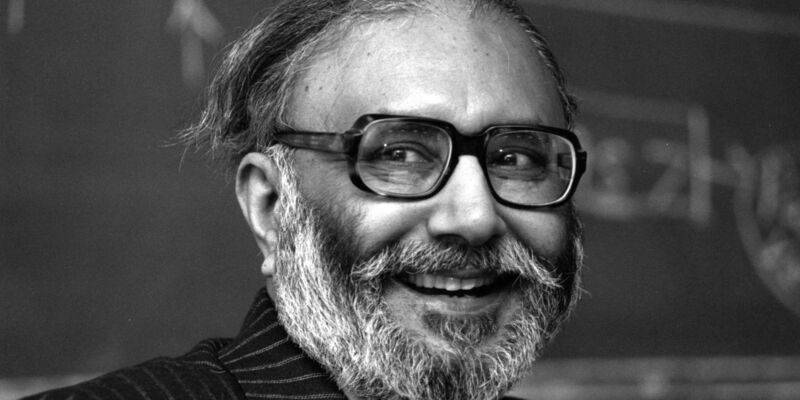 Dr Muhammad Abdus Salam was not only the first Pakistani to receive a Nobel Prize, he was actually the first Muslim to receive the Nobel Prize. After his death, this honour was noted on his headstone. Today, however, his grave has been defaced and the word ‘Muslim’ removed on the orders of government officials. His crime? He was an Ahmadi Muslim. Today we express our sadness not only for the loss of Pakistan’s great hero Nobel Prize winner Dr Muhammad Abdus Salam, but for our own country that is so psychologically insecure that we cannot even honour its greatest citizens. 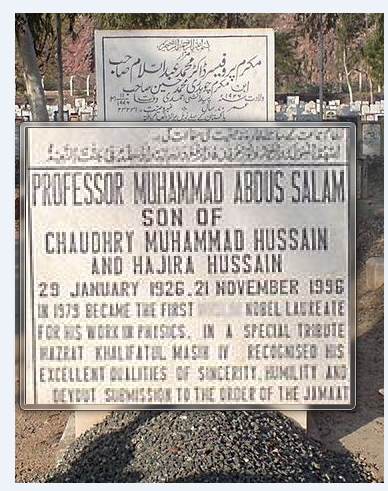 This entry was posted in Blogs and tagged Abdus Salam, ahmadis, religion by Sidra Jafri. Bookmark the permalink.